Tirtha is the guitar player for the bottom floor. Sometimes she brings the band and sometimes she plays alone. Craig Montesano will provide Music in the Market with an emphasis on Country Music. He does a wonderful cover of several Johnny Cash songs. 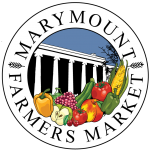 This Saturday, June 2nd, Megan will visit the Marymount Farmers Market to perform for us.